Orion Assembly ranks as the eighth largest user of green power in the U.S., according to EPA’s Green Power Partnership. Over half of the plant is powered by methane captured from decomposing trash in a nearby landfill. LAKE ORION, Mich., July 25, 2016 /3BL Media/ - The General Motors Orion Assembly plant that builds the Chevrolet Bolt EV ranks as the eighth largest user of green power generated onsite in the United States among the Environmental Protection Agency’s Green Power Partnership Partners. Over half of the plant is powered by methane captured from decomposing trash in a nearby landfill. Orion Assembly saves $1 million a year by using renewable energy. The plant is also home to a 350-kilowatt solar array that sends energy back to the grid. GM’s goal is to promote the use of 125 megawatts of renewable energy by 2020, and it will exceed that goal later this year. 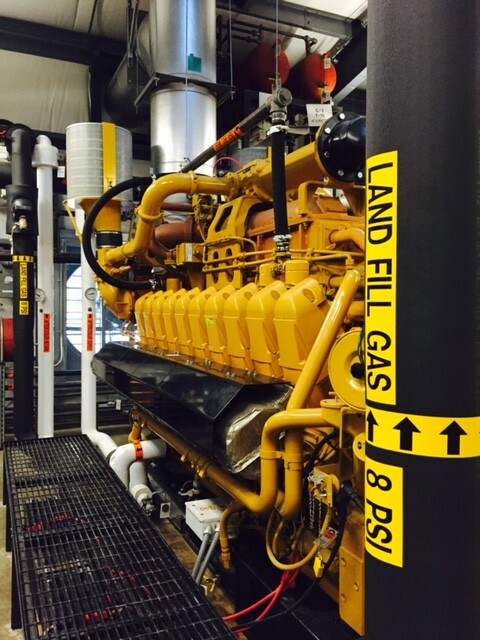 "EPA applauds Orion Assembly for its innovation in generating green power from an onsite landfill gas energy system and for taking a leadership position on the environment," said James Critchfield, manager of the Green Power Partnership. Letha Tawney, director of Utility Innovation at World Resources Institute, said General Motors, which was a founding member of the Corporate Renewable Energy Buyers’ Principles, has been a vocal advocate for renewable energy sourcing. “The GM team is constantly seeking out innovative approaches to increasing their use of renewable energy around the country,” said Tawney. GM is one of 60 multinational companies in the Renewable Energy Buyers Alliance, which works to identify barriers to buying clean energy and develop solutions to meet growing demand. Groups like these, along with policy support, help to drive and scale renewable energy at an effort to reduce costs. Orion Assembly is committed to energy efficiency. GM’s painting process at the plant gives the Bolt EV its glossy sheen while at the same time contributing to a reduced environmental footprint. The “three-wet” process allows three layers of paint to be applied to the car followed by a single trip through the oven, saving energy and space previously used by additional equipment. The facility met EPA’s ENERGY STAR Challenge for Industry in 2013 by reducing the energy intensity of its operations by 67 percent within two years. The efforts avoided 42,758 tons of CO2 emissions. GM’s Fort Wayne Assembly plant in Indiana, home of the Chevrolet Silverado and GMC Sierra pickup trucks, appears on the EPA list for the second year in a row for its onsite generation of energy from landfill gas. For more information on GM’s environmental commitment, read its sustainability report and visit its environmental blog.